whilst looking at some stats on the site I found this...... take a good look - it shows who's where and what they are doing. If you can see them and where they are - can you guys go get them and kick them out ( polite rendition of something else I was going to put !! ) GMD. Anyway it's interesting all the same, some good stats there. 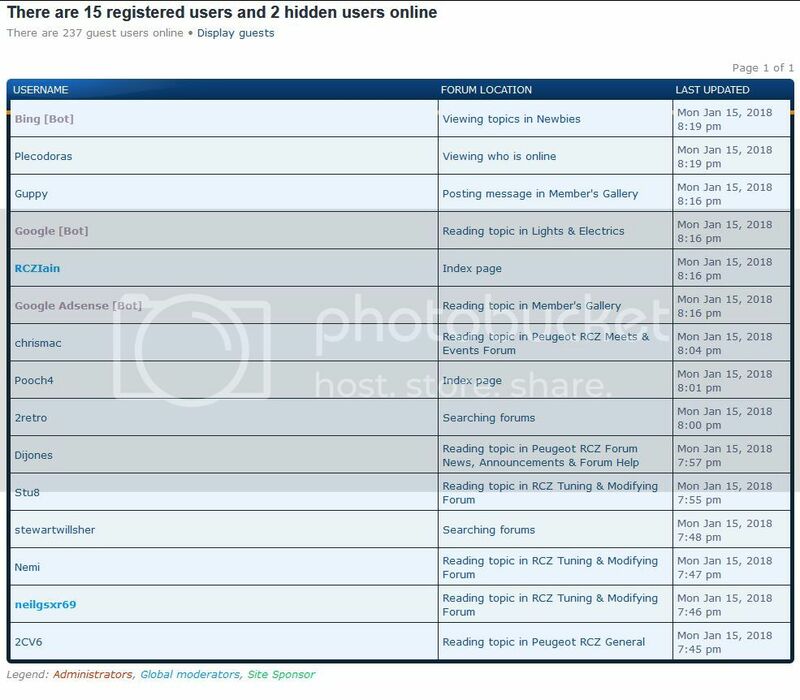 237 users at that time with 15 reg users, and to think I thought it was just a handful of posters... did I say that right ? The bots could be looking for search requests by a user somewhere in the tinernet. You know the type of search that goes "my rcz gone into limp mode". Yes there are search bots that harvest search results. Thanks guys I bot that wrong !! !